St. Augustine, Florida is a great city to visit during the Christmas holidays. The historic city is in the northeast of Florida on the Atlantic coast providing some beach and ocean experience to your holiday. 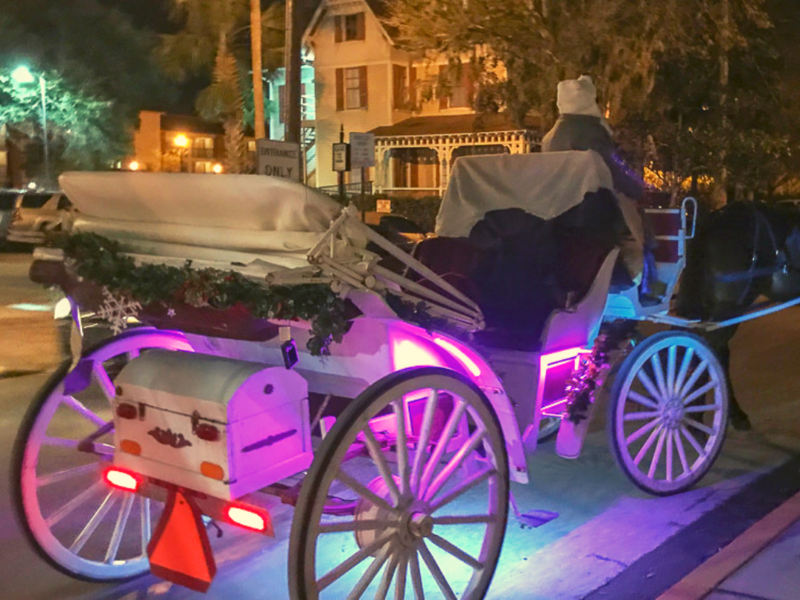 Our full-time traveling family spent all of December in 2017 visiting St.Augustine and found ourselves enchanted by all the holiday festivities. The streets of St. Augustine are lite up with white twinkly lights for everyone to enjoy each night from Thanksgiving until New Years. They call it the Nights of Lights. Take a walk along the waterfront and enjoy the view, or hire a horse-drawn carriage and bundle under the blanket together for an enchanting evening. Our family chose to take the Red Train Trolley for a tour of the city. We could hop off and explore an area and then hop back on the next trolley that arrived. 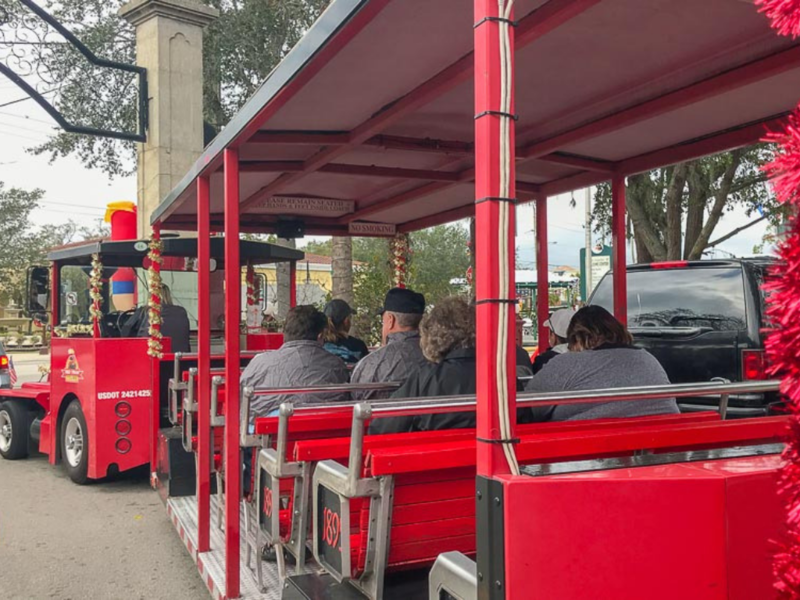 If you want to see the lights at night and sing Christmas carols, then the Red Train Trolley is a great option. The trolley is not only decorated with garland and lights, you also listen to Christmas carols as you travel among the city of lights. We loved spending Christmas in St. Augustine last year as it allowed us to explore the ocean front while also being in such a festive city, all the while not having to live with snow. Since our family is originally from Minnesota, we were thrilled to have a winter without snow.